Check-in regularly for latest offerings and news! 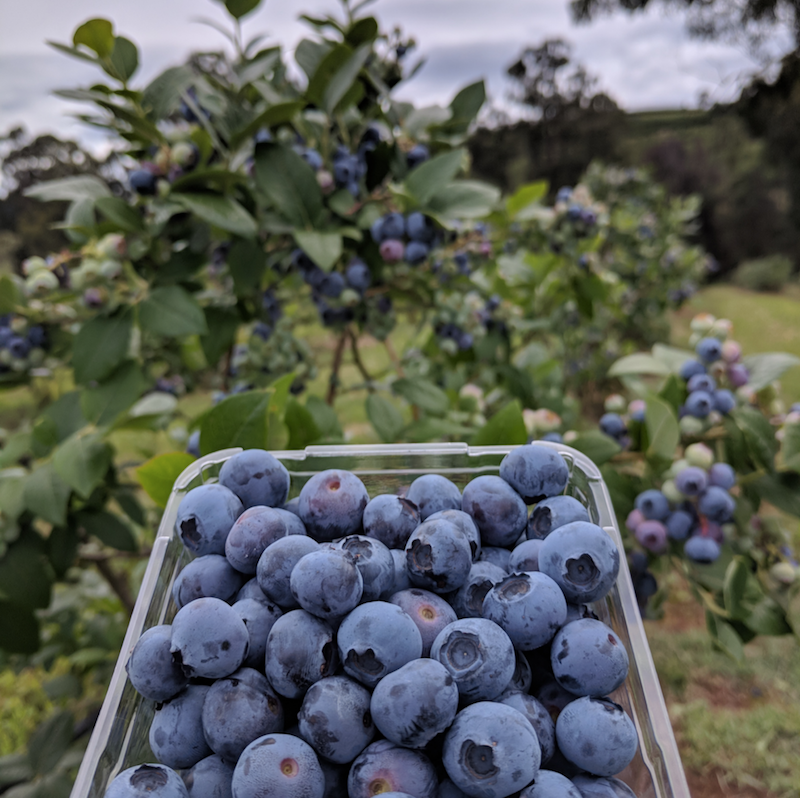 Blueberries are now in season! Delicious plump blueberries and raspberries are in good supply and are becoming sweeter after the rain. Come down for some u-pick fun! 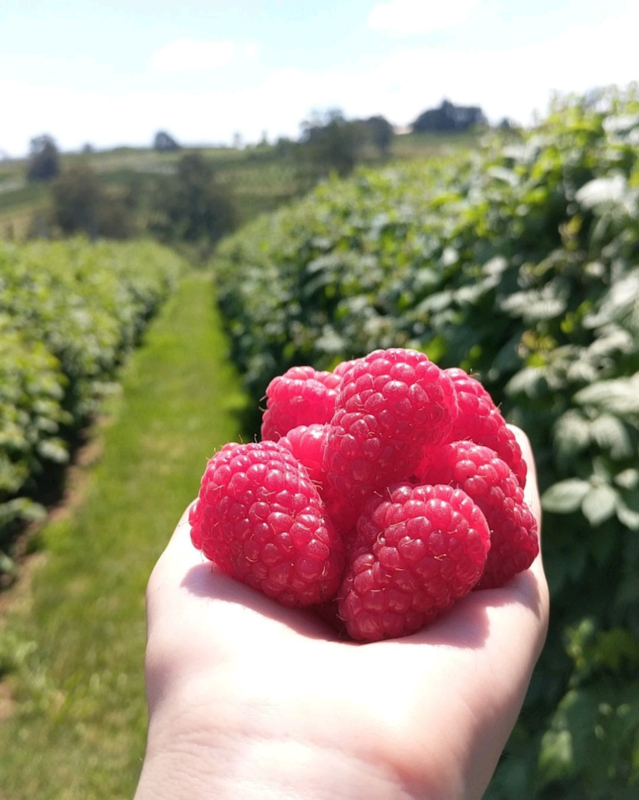 Raspberries are now in season! Sunday 19th of November is the first day of raspberry U-Pick! They are juicy, sweet and ripe! Strawberries are ready to go! Sunday 29th of October is the season opening! 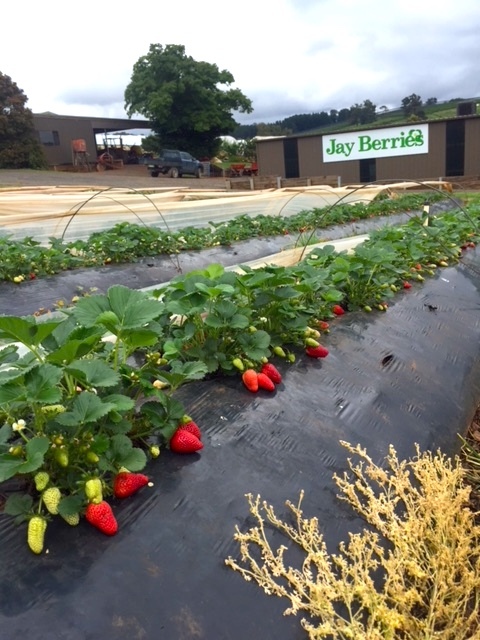 After a slow start due to a wet spring, we now have an abundance of delicious strawberries ready for U-Pick. Bring your friends and family to enjoy. Don’t forget that we open on the Sunday and Monday of the long weekend. Season end – Thank you! It was great seeing you this season! With the cold weather setting in, our fruit plants are taking a nap to get ready for a great fruiting summer coming up! Thank you so much for visiting this season! It was a pleasure sharing our farm with you. Whilst winter is upon us, feel free to visit our online store here. 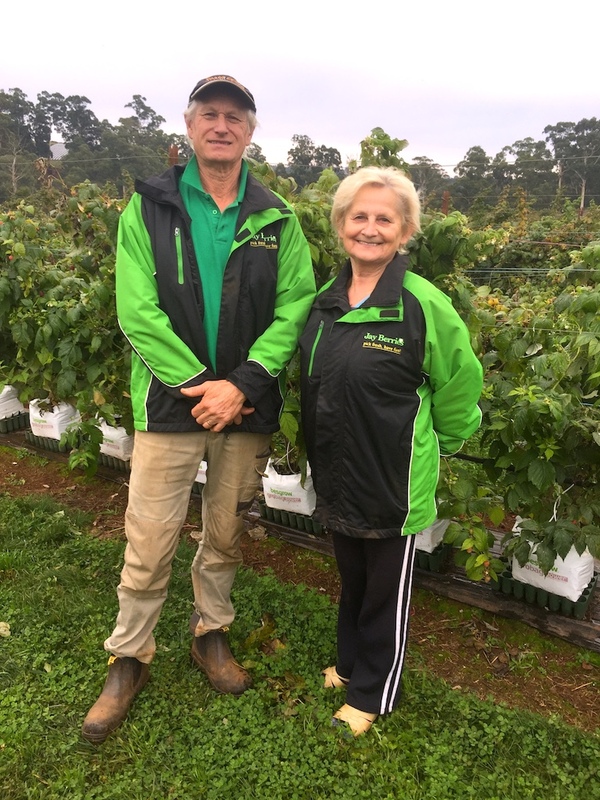 For a guide to when we expect upick to start again please visit our upick page here. To receive updates and offers please sign up to our mailing list here.